Unique biodiversity, ancient history, and unmatched hospitality... Armenia is the world’s next premier hiking destination. 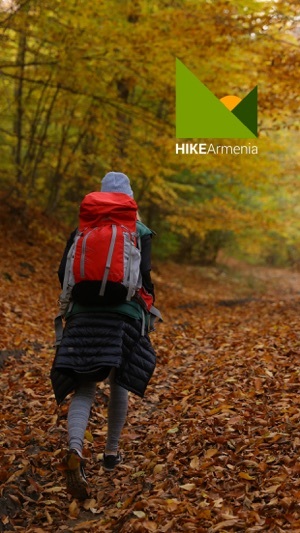 HIKEArmenia will help you discover it all. You’ll have access to marked trails across the country, with detailed maps and essential info like how to get there, where to stay overnight, trail length, terrain, difficulty level, and weather conditions. 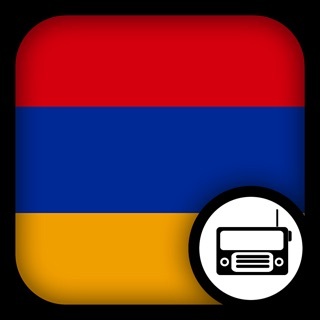 You can store all the info you need with offline mode and trek Armenia by yourself, or get in touch with local guides. They won’t just show you around, but help you experience the true nature of Armenian culture and hospitality. 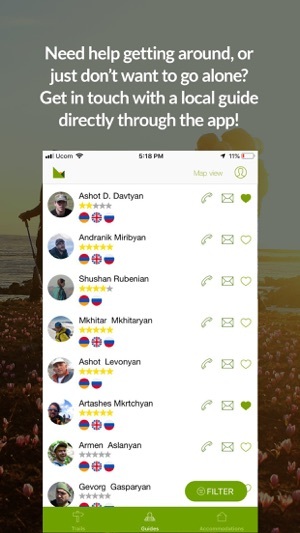 With HIKEArmenia, you can plan ahead and read about others’ adventures, and write your own review —about the majestic bezoar goats you met in Vayots Dzor, the medieval monastery you discovered in the lush Vorotan Valley, and the night you spent eating, drinking and learning traditional dance with your B&B hosts. Home to 60% of the Caucasus region’s flora and fauna diversity, Armenia is a place worth visiting. Ready to hike something epic? 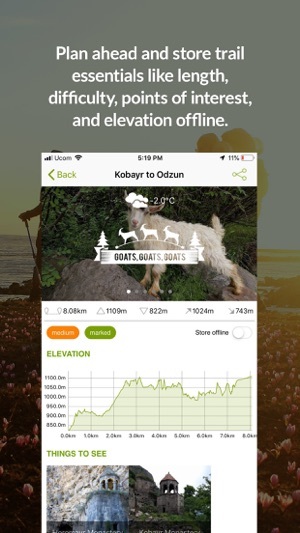 Hiking Armenia just became easier. See what we’ve added and improved on the app below! Looking for an easy trail, a multiple-day hike, or a semi-marked path? Just use the new filter feature to find the trail of your dreams. Really excited to hike to the Goris Caves but not sure how to get to the trail head from Yerevan? Now you’ll find detailed travel instructions to get there by car, taxi, minibus (known locally as “marshrutka”) or train. Now you can track your trail today, and find it again on your profile tomorrow. 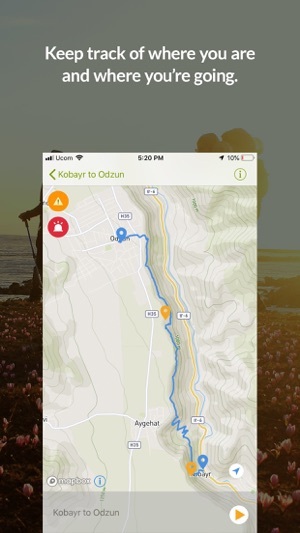 Each trail map now features all points of interests and nearby places to stay, so you can plan your entire trek ahead of time. Now you can notify us immediately if there is something wrong with any of the trails, or if you have suggestions to make the experience better (lack of signage, collapsed bridge, wild bear…). The app is very organized and easy to use. I love that I can see a list and map view of the trails. I love that we can learn a bit about guides and contact them.